In F1 in 2017 things rarely are as simple as assumed in advance. So it has been this time in Sochi for the Russian Grand Prix. And was so more than once in a single Saturday afternoon. It started in the build up. This one definitely would be Mercedes country we said (including your dear author). The Sochi track always has a feather touch on the tyres, and this would take away Ferrari's apparent trump card of being able to handle the Pirellis better over race stints. The red cars may also struggle to, in the parlance, 'switch the tyres on'. Not so. Or at least not that simple. The Ferrari for this campaign is a very different beast to previous ones and two problems it's had traditionally - tyre warm up and fuel thirstiness, two things that would really be punished here in Russia - seem much more licked this season. 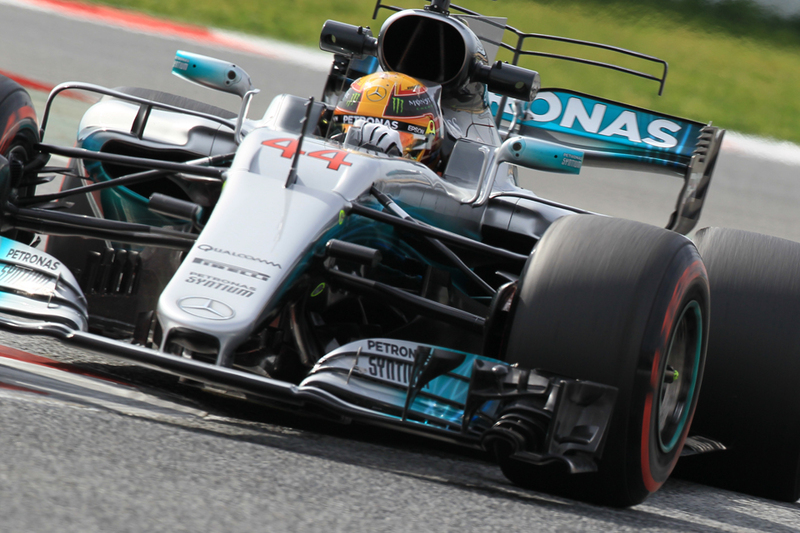 Indeed in practice it was the Mercedes that struggled to get the Pirellis into their operating window quickly - struggling with the old Sochi bugbear of getting the front and rears into the zone at the same time (a consequence perhaps of the W08's long wheelbase). The Ferraris by contrast were able to get down to pace quickly, to use a Mario-ism looked painted to the road, and topped every practice session. Pole actually looked in advance like the red team's to lose. "There are a lot of 90 degree slow corners here," noted an observing Will Buxton. "The W08 hates them. Snappy rear, over worked tyres, narrow set-up window. No easy fix." And in today's qualifying session the red team did not lose pole. Not even Merc's lauded quali engine modes were enough this time. Ferrari indeed locked out the front row of tomorrow's starting grid with Vettel ahead. But reflecting again that things in F1 these days are rarely as simple as assumed there was a corkscrew plot to get there (appropriate perhaps given the roller-coaster that sits next to the Sochi pit straight). And Mercedes still came close. Or rather, and adding to the oddity, it was pretty much exclusively Valtteri Bottas that took up the Mercedes fight. He has an exceptional record here, never qualifying outside of the top three, and if we wondered the impact the Bahrain race's goings-on would have on him we were reminded that few let things bounce off as effectively as the phlegmatic Finn. He got third on the grid, his best mark less than a tenth off Seb's. As for the perennial Lewis, as Martin Brundle noted of him, "every time we saw him he seemed to be having a drama". His session was one of constant unhinged rear slides and off track wanders. He was a whole half second off his team-mate in the final order, starting fourth. "I just wasn’t quick enough today," was Lewis's summing up. "Have to go back to the drawing board and try and figure out why." 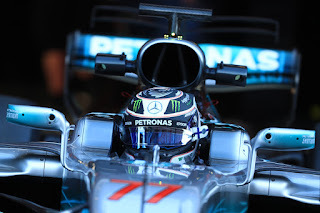 Briefly in Q2 it looked as if Mercedes might get it together after all in that oh-so familiar way, as Bottas topped the session and Merc likely would have had a comfortable one-two therein had the Ferraris not gone for a late second run. Come the final part of qualifying the corkscrew had a couple more turns in it though. 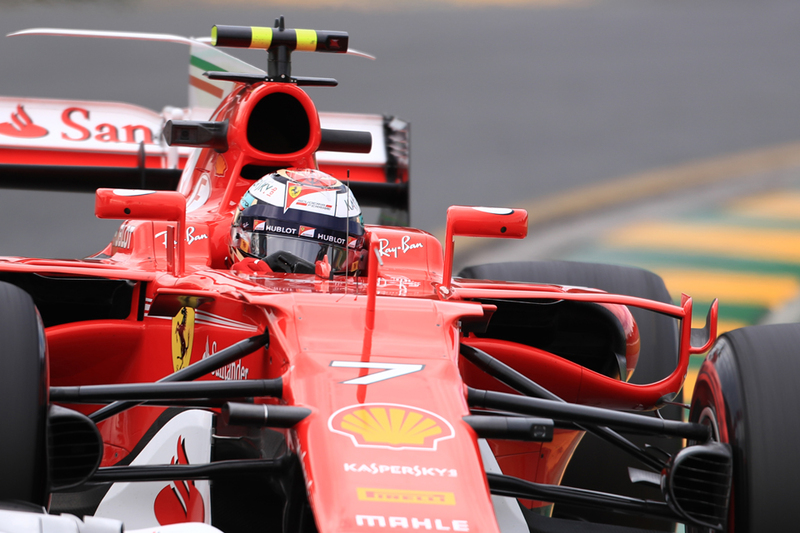 Not only did the Ferraris stride back - Q2 sessions in 2017 seem not the most reliable calling card - it was the unlikely figure of Kimi Raikkonen on provisional pole after everyone had done their first efforts, with Seb in fact behind the other Finn of Bottas in third. The habitual reminder that Kimi has never taken a pole since that very same France weekend nine years ago was therefore circulated liberally. 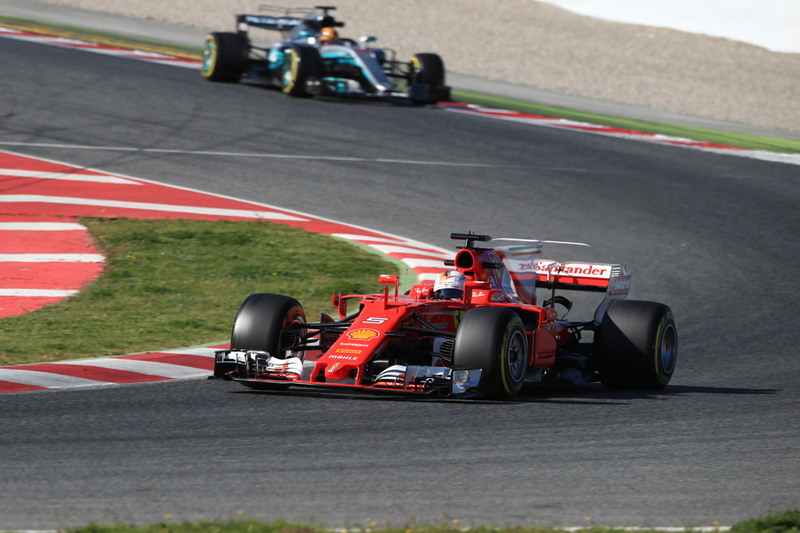 Vettel was first to go in the final runs, and sneaked ahead of Kimi by half a tenth. Neither Kimi nor Valtteri improved. Lewis did but as outlined was half a second off. The anticipated result was got eventually. Seb on top; Kimi backing him up. And in the end it seemed that Seb made the difference. It also was a day that ended a few stretching runs. Merc's run of 18 poles came to an end. It also was Ferrari's first front row lockout in a whole 127 races, or rather to France (remember those races?) in 2008. "From where?," said Seb when asked later where the Ferrari performance has come from. "If you look at the first three races we had a good start to the season. "I had a good start this afternoon and I was feeling reasonably comfortable, in Q2 I lost a bit of the rhythm," Seb went on, reflecting the corkscrew day. "My final [Q2] run went wrong, I locked up and it went a bit wrong. "And then in Q3, the first run was not really tidy, so I left it until the end, got a good lap in and improved in the last sector, made up some time compared to my lap before, knew it would be tight, and I knew also that I would be the first one to cross the line..."
His team-mate Raikkonen had more regrets however. "Obviously the aim is to be in the front," he mused. "The feeling has been a lot better this weekend, I just got some traffic on the outlap on the last set and couldn't really make the tyres work as well as the first run." Bottas meanwhile was frank enough to admit to surprise in the Mercedes camp. "Coming into this weekend probably we were thinking it would be better than Bahrain," he said, "but so far it's turned out not to be so good. "Ferrari appears to be doing something different. For us, disappointing not to be on pole - we did a good improvement from yesterday to today but not enough." Phillip Horton thought that it was all simpler still. "Perhaps," he said, "even though it doesn't fit the assumed narrative, Ferrari has built a better car with a better engine?" Old assumptions die hard it seems. 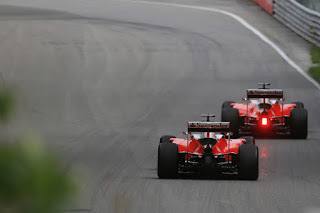 Certainly there are more and more coming to the conclusion that the Ferrari is, again in the parlance, the 'real deal'. On all types of circuit and condition. And all of a sudden another thing that we thought will be to Merc's benefit this time may instead be to Ferrari's. That with one-stopper likely there will be few strategy options to make places in tomorrow's race (no one has ever won a Grand Prix here from off the front row). And that's assuming the Mercs can even run with the Ferraris. Friday suggested Merc's race stints are good, perhaps slightly better than Ferrari's (or at least Bottas's are), but it'll count for little if it cedes much ground early when gradually coaxing its tyres in. "Of course, my goal is to try and get forwards," Lewis added, "and my long run yesterday was pretty poor as well, so I'm hoping to rise back. "It's only a one-stop, so it's a very simple strategy, so I'm not particularly confident on that but I'm going to work as hard as I can to do it on track." Bottas was more upbeat though. "Tomorrow will be a different story, difficult to predict, but it will be close." Perhaps the main threat to a Ferrari win in Russia is unreliability. Maybe that's not just parlance either. The one note of worry for Ferrari in 2017 is that it has replaced its turbochargers more rapidly than it would have hoped. A future grid penalty seems likely. It shows that things aren't entirely seamless in the Maranello squad, at the very least. The rest as ever were a side show but there still were worthy performances. Daniel Ricciardo as ever made the best of things, bagging P5 on the grid and admitting that was the very best that could be hoped for, as well as that tomorrow he's likely to be looking backwards rather than forwards. 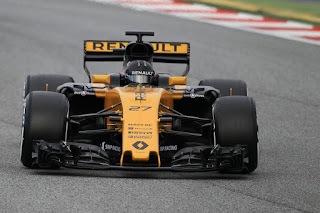 Felipe Massa split the Red Bulls to get sixth at a track that suits Williams (and not the Bulls), while Nico Hulkenberg in the Renault continued his own recent theme of being a consistent, and comfortable, presence in the top 10, him getting eighth on the grid. In another consistent theme the Force Indias completed the top 10 with Sergio Perez ahead. While Fernando Alonso in another consistent theme of his own performed a miracle to get his recalcitrant McLaren Honda out of Q1. For the other Renault though, piloted by Jolyon Palmer, he continued his own recent theme - rather a nightmarish one. The pace gap to his team-mate gaped and he was the best part of a second off Hulk when struggling to get out of Q1 at the last, at which point he binned his yellow car in a big way. Troubled times. Russian GP Betting - Migrate back to Mercedes? Sakhir Preview: Ferrari the favourite?